We recently received a bunch of balusters, furniture feet, and turned wood posts in our SODO store. While these guys are used to holding up handrail and protecting your dog from jumping off the porch, they are super versatile and ripe for repurpose! Below are some projects utilising this simple material in some really stellar ways. Come check out our selection of balusters/spindles/stair sticks and more in person 9AM-6PM any day of the week at our Seattle SODO location, and browse online anytime! While this latest batch of turned wood architectural goods includes some arguably snazzy and convenient plug-and-play table legs, it’s worth mentioning that balusters also make a fine substitution. They are inexpensive, easily cut to any height, and available in a wide range of profiles to match any style, making them popular choices for console and end tables. Looking for a heavier duty solution? Use newel posts instead- their wider diameter provides greater stability and lends a classic farmhouse aesthetic. Check out a tutorial to build your own here. These shapely lamps show off the lovely turned wood detailing on the balusters they’re made from. You can achieve a similar look on our raw wood balusters by staining or painting them a dark color, painting over with a lighter color of paint, and sanding down in places to distress. Hot tip: our Metro Paint in “Seashell” would work great for this! 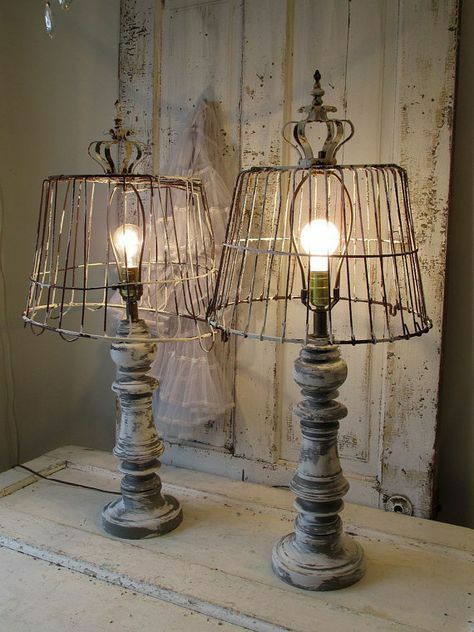 Also, how sweet would Edison Bulbs look with these? 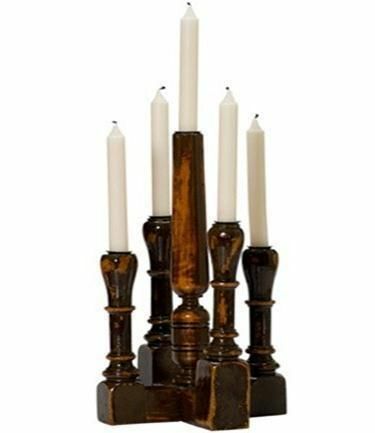 This candelabra made from cut-off balusters is so charming and would be super easy to make! Just cut pieces to a couple varying lengths, drill inch-wide holes partway down, and affix them all to a central piece of wood. 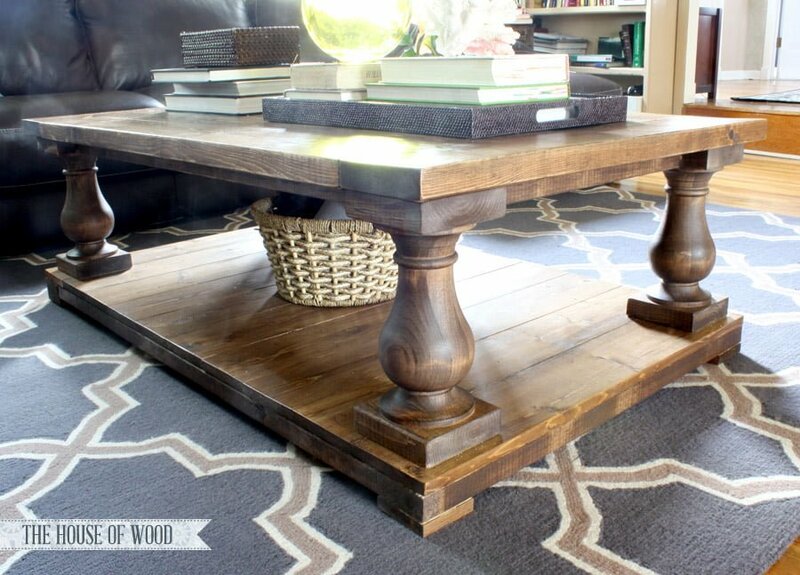 Paint/stain them however you wish and voila! A thanksgiving centerpiece the relatives will swoon over. These would also look lovely as individual candlesticks, and would make great gifts! 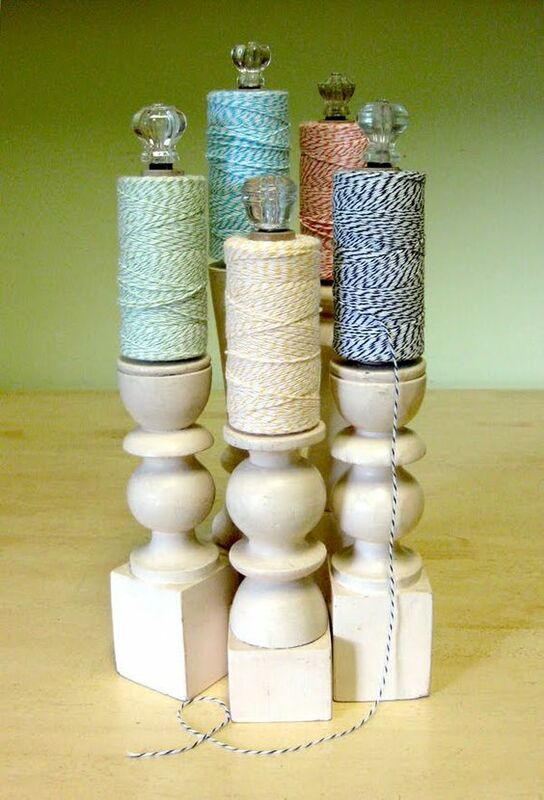 There’s a great step-by-step DIY for this innovative project here, and we love the crystal knobs as toppers. We’ve got tons of fun vintage hardware that could serve a similar purpose! We’ve got a bunch of balusters that all match, and this headboard project is an awesome way to show off the matching turned details. 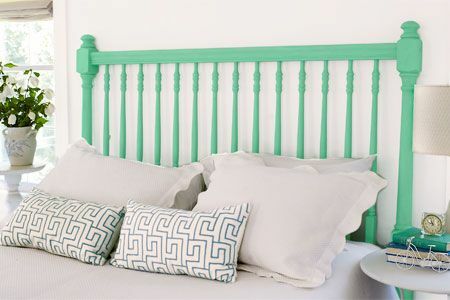 The newell posts on the ends frame the headboard nicely, and this project can obviously be painted any way you like! You can find a great DIY for this project here.